There is nothing more exhilarating than cruising the open road on a motorcycle. On a warm sunny day, feeling the wind on your face and seeing beautiful scenery with an unobstructed view makes riding a motorcycle an unparalleled experience. However, the lack of protection provided by a motorcycle also makes it the most dangerous form of transportation available to you. In many instances, motorcycle accidents result in catastrophic, life-altering injuries that require extensive medical treatment and ongoing rehabilitation. These financial burdens can often prove crippling to you and your family, especially if you need to miss a significant amount of work while you recover. Fortunately, you don't have to go through this difficult time alone. Anthony Castelli can help ensure you recover the compensation you deserve. You can learn about your rights and options after a motorcycle accident by speaking with Mr. Castelli in person. Please call (513) 621-2345 today to schedule your free consultation at our Cincinnati office. Mr. Castelli isn't just an attorney. He's also an avid motorcyclist just like you. He understands the sophisticated nuances of riding a motorcycle that only another biker can truly know. When you tell him that you laid your bike down when the cager turned in front of you rather than slam head on, he'll applaud your ability. 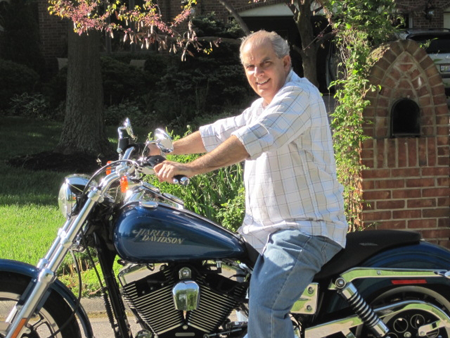 This knowledge and passion gives Mr. Castelli a unique advantage when building motorcycle accident cases since he can often detect signs of negligence that non-motorcyclists wouldn't know to look for. In addition to handling your injury claim, Mr. Castelli can also assist with your bike property claim. If the injured person was also careless, such as through the failure to observe certain traffic laws, his or her compensation may be reduced by the extent such carelessness caused the accident. This is known as "comparative negligence." If a negligent person causes an accident while working for someone else, his or her employer may also be legally responsible for the accident. This issue can arise, for example, when a delivery van strikes a motorcycle. As a motorcyclist, you are entitled to the same driving rights as other vehicles sharing the road with you. Unfortunately, cars and trucks don't always respect these rights. In fact, the majority of motorcycle accidents are caused by another vehicle that has failed to respect the rights of a motorcyclist or that has simply failed to drive responsibly. Approximately 65% of all motorcycle accidents involving another motor vehicle occur because the car didn't yield the right of way to the motorcycle, and many others are the result of a driver failing to check his blind spot before veering into the lane of a motorcyclist. Sometimes a "near miss" with a car can still result in a devastating accident involving just your motorcycle. Even though there was no collision with the car, the other driver's actions may have caused the accident. When the actions of another driver result in a motorcycle accident, you may be entitled to recover compensation for any injuries you suffer. Mr. Castelli will fight aggressively to hold the negligent driver accountable so that you can focus your energy on healing after this devastating incident. Motorcycle accident cases are often more complex than other motor vehicle accident cases. It can often be challenging to prove fault in motorcycle accident claims, especially in situations where there was no collision with the at-fault driver. Insurance companies are aware of the challenges associated with proving fault in these cases, and they'll often argue that your careless actions contributed to the accident in order to reduce your claim. Mr. Castelli has more than 30 years of experience handling complex motorcycle accident claims, and he knows the tactics insurance companies use to try and unfairly reduce your compensation. He is a seasoned litigator who prepares every case as if it will go to trial. This will give you the edge you need when seeking to maximize the value of your compensation. 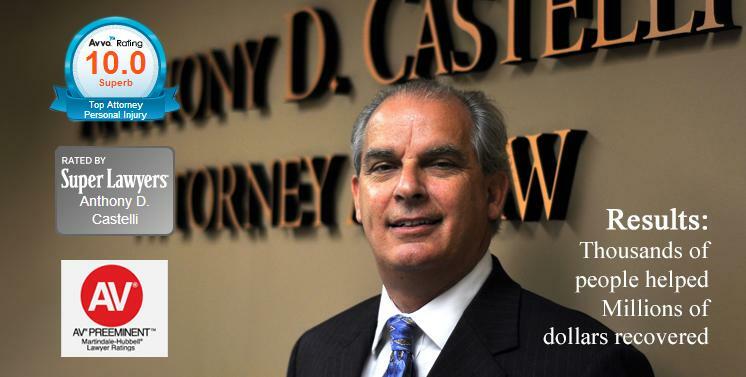 Please contact the Law Office of Anthony D. Castelli to speak to a lawyer right now . To get your questions answered and to protect your rights call (513) 621-2345 today to schedule your free motorcycle accident consultation. 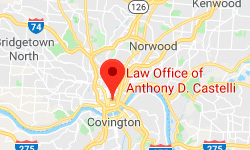 Mr. Castelli serves clients in Cincinnati and throughout Ohio.